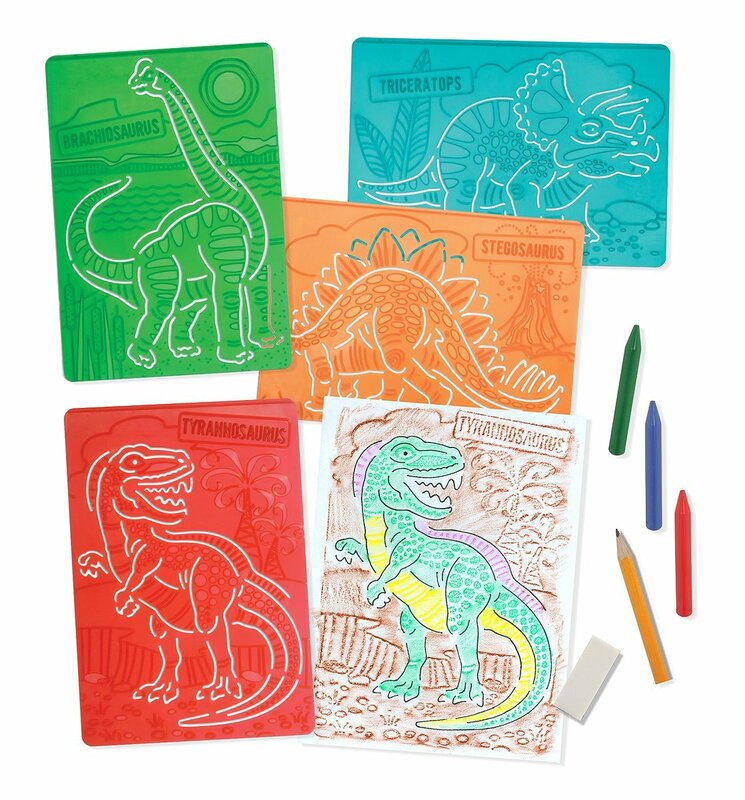 Bring the past to life with a #2 pencil, 3 non-roll crayons and 4 awesome dinosaur stencil/rubbing plates. 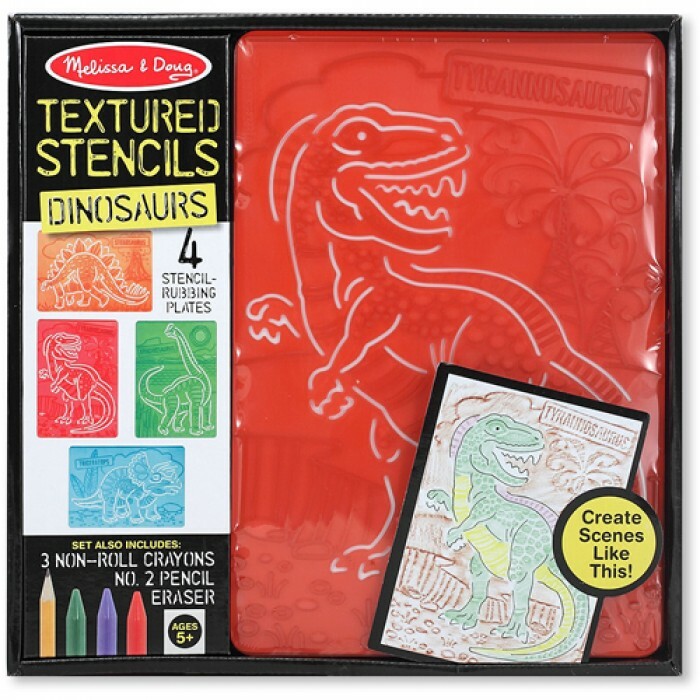 The directions make it easy to create dramatic scenes of the days when dinosaurs ruled! You can add dino-rific details using your own imagination (and there’s an eraser included, in case something should “go extinct”!). Categories: Activity Books, Dino Toys, Plush & Merch.